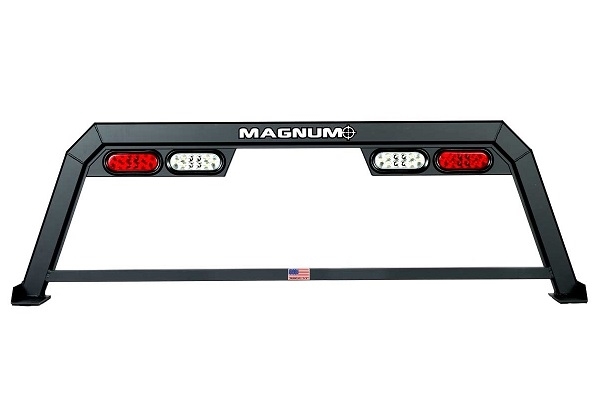 Need a little extra protection from a headache rack without sacrificing visibility? The Low Pro Hollow Point Truck Rack gives you a clear field of vision while handling the toughest work and worst weather you can throw at it, and it’s matte black powder coat finish looks awesome at the same time. Constructed using custom jigs for every truck model on the market, you’ll get the best fit on an after-market rack available. The unique design allows for tonneau cover usage as well as fully-functional brake, reverse and blinkers. All-aluminum construction is lightweight but strong. The Low Pro Hollow Point truck rack was designed to handle the stresses of hard work, and unpredictable weather all while looking good. Each rack is built using custom jigs for each model truck, making it the best fitting rack on the market! 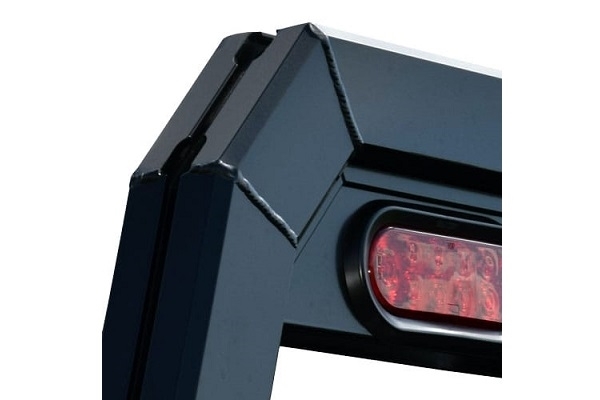 Its unique design allows for installation with a tonneau cover and includes fully functional brake, signal, and back up lights. With all aluminum mig and tig welded construction and a powder coat finish; the Low-Pro Truck Rack is the lightest, toughest, and best-looking rack on the market.